Are you a fan of Pottery Barn decor? We sure are. Their style will still look good years from now. I have a few pieces of furniture in my home from Pottery Barn and they look good no matter where I move them. I’ve had them for many years. I wish I could afford a house full of Pottery Barn decor but will a little inspiration, you can recreate the look for less with decor from Target, Amazon, Wayfair and Kohl’s. All of the prices were current at the time of posting, but we all know they can go up and down quickly! 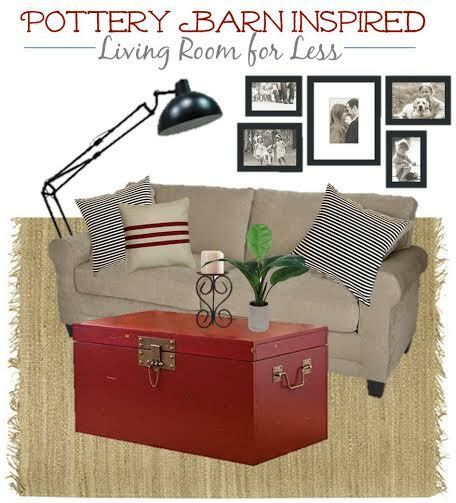 Be sure and see our other Pottery Barn Inspired Rooms and CopyCat decor in our Home Decor category.